The attitude of some dog owners towards their pets’ behaviour continues to beggar belief, such is the view that their canine companions could not harm man nor beast. On a radio breakfast show I appeared on this week, the presenter showed me off air the tweets and texts of abuse he received if he ever mentioned dogs in a negative light or how the owners were to blame if dogs got out of hand. 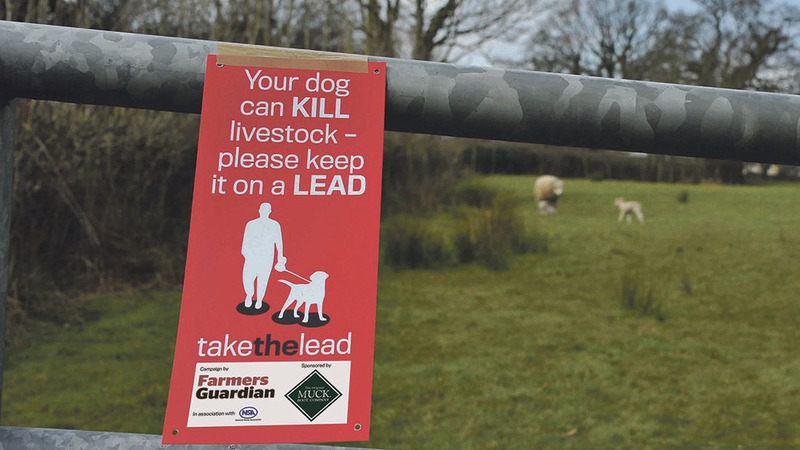 Getting the message across to these people about the damage their pets can do has been at the heart of Farmers Guardian’s Take the Lead campaign since it launched in 2014 and, with its roll-out in to schools, we sincerely hope the initiative can help educate a younger audience about their animals’ actions. ‘Pester power’ by children can be an effective tool in getting parents to lift their heads to the consequences of their actions as pet owners, and we encourage everyone with the ability to do so to share our videos across social media and highlight the impact dog attacks can have on livestock, especially now the Easter weekend is upon us. Moreover, ensuring the wider farming message is portrayed to youngsters across the UK is vital for an industry which operates in a shifting world. These are the consumers of tomorrow and we as an industry need to build links with them and bust some of the myths about farming, either by doing so on a daily basis or via initiatives such as FG’s 24 Hours in Farming (August 10) or Leaf’s Open Farm Sunday (June 11). It should be lost on none of the tourists heading to the countryside this Easter weekend that the landscape they love has been shaped for better by farmers, not for worse, and this is a message we all need to communicate loud and clear.